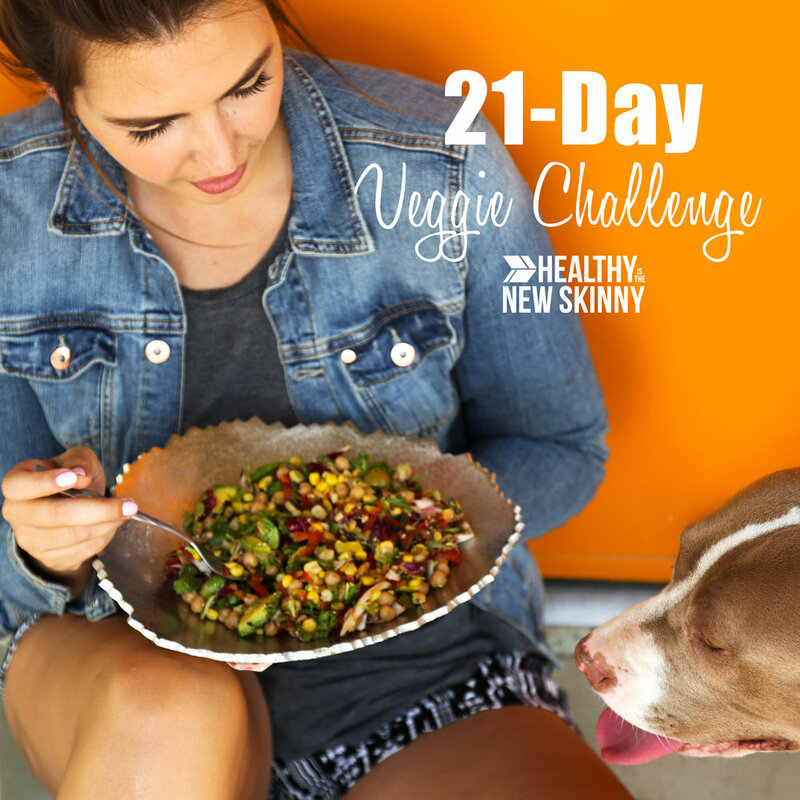 We are excited to start our first ever 21-Day Veggie Challenge! When it comes to a healthy lifestyle, nutrition is essential. According to the Centers for Disease Control and Prevention (CDC). Just 9% of Americans consume the minimum daily vegetable recommendation of two to three cups per day. People write to me often asking, "How do you eat healthily but not go on a diet?" That is a great question, and we have to remember that our goal at HNS is a healthy lifestyle long-term. Giving yourself the opportunity to try new foods, recipes, and ways of eating that are more nutrient-rich without the guilt and restriction of a diet is important! Before I tell you more about what this challenge is, let me start by saying what it is not. This challenge is not a diet or set meal plan. It is not about undereating or calorie counting. And this challenge is not about weight-loss, although that may happen for some people who shift their diet to more natural foods. If you have suffered from an eating disorder or disordered eating, I suggest you skip this challenge to avoid being triggered in any way. This challenge is for people who were like me and grew up on a fast-food diet, never ate fruit or vegetables, lacked energy, struggled with weight, had poor education in cooking, and overall dietary health in general. I was obese as a child and struggled with my weight again as a freshman in college when I gained the freshman 30lbs. I felt scared and frustrated by not knowing how to be a healthy person, and so I tried every diet and diet pill I could find. Of course, that caused my self-esteem, health, and body to suffer even more. For this challenge, I am going to share with you how I changed my relationship with food, became a vegetarian, and how I get creative in the kitchen! I love food, and I am going to teach you how to make easy and healthy recipes that taste amazing. OPTION #1: GO 100% VEGETARIAN FOR 21 DAYS STRAIGHT. OPTION #2: COMMIT TO HAVING VEGGIES WITH YOUR MEAL FOR LUNCH AND DINNER FOR 21-DAYS STRAIGHT. I am a vegetarian and frequently get interest from followers on Instagram asking how they can try it out? This Challenge could be a great way to see if vegetarianism works for you and see how your body feels. My body doesn't require that I eat meat to feel good. My husband's, on the other hand, needs to have some meat from time to time because he feels better when he does. Every person is different and has different dietary needs. We as a family went from eating meat with every meal to me being 100% vegetarian and Bradford being 90% vegetarian, only eating organic chicken breast from time to time. This process has been about a 6-year transition, and we both feel great, we are helping the environment by eating less meat, I have developed some badass cooking skills, and we are the healthiest we have ever been! Plus our two-year-old daughter True is also a vegetarian and her favorite foods are avocado, cauliflower, beans, eggs, and "Mama's shhhoup." It is a great way to get the whole family eating healthier and raising the American average of people who eat enough vegetables to well above 9%! We got this! Are you ready to join the challenge? Click the button below to read some FAQ's and sign up!